Developers and Android enthusiasts generally have a lot of utility applications installed on their device so a new application from XDA Junior Member Kuterd hopes to reduce that application overhead. 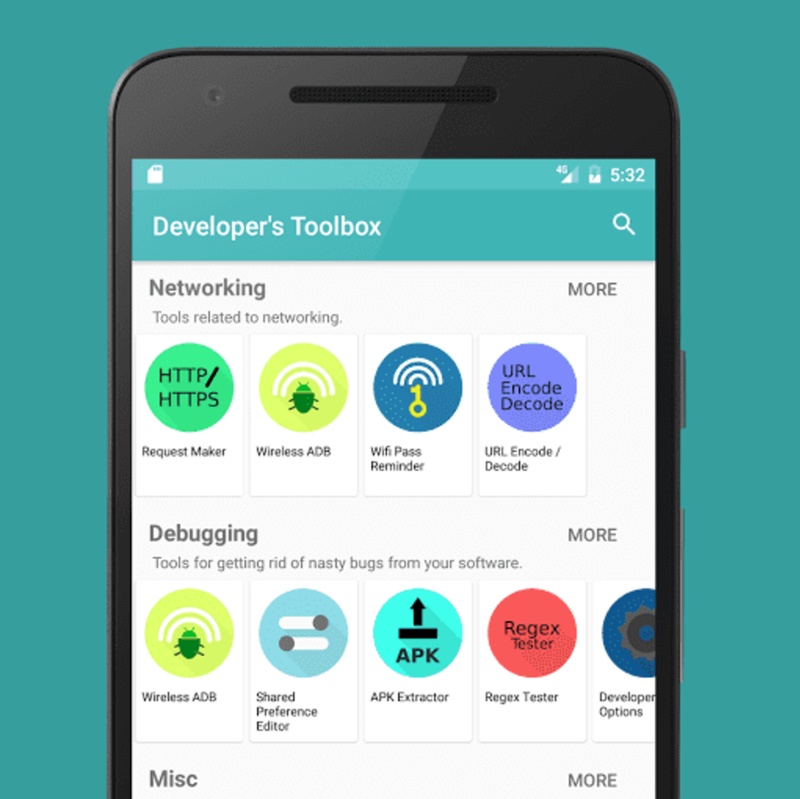 The application is called Developer’s Toolbox, and it contains both root and non-root tools for developers to use. It comes with features such as a build.prop editor, wireless ADB, numeric/base64 converter, hash calculator, APK extractor, regex testing, and much more. The application is free to download over on the Google Play Store, and the developer also has an open thread on our Apps & Game forums for this project.